Too often do people group these two types of festivals into the same category. Although there are similarities, there are also very distinct differences. Most of the time, each type of festival provides the attendee a uniquely contrasting experience. Ever since attending my first festival back in 2011, festival culture has become a large and influential part of my life. I went to Burning Man for the first time, and my mind was blown. 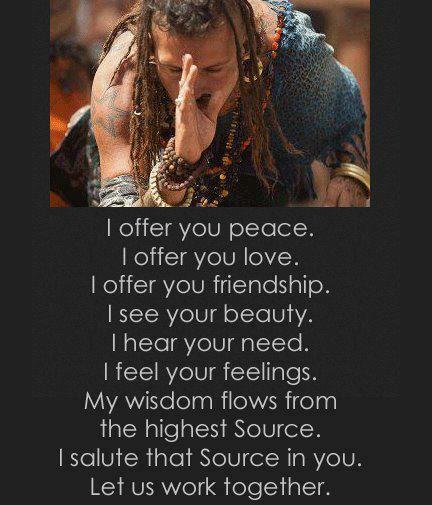 What I experienced changed my life and shaped who I am today. Years later, I have attended both music festivals and transformational festivals. They are both fun, amazing, wild, and crazy, but the main point I would like to get across is an explanation of differentiation. For the sake of this article, a music festival is defined as an organized series of concerts, presented with a common theme, such as musical genre. Some well known examples are Coachella, Glastonbury, and Tomorrowland. 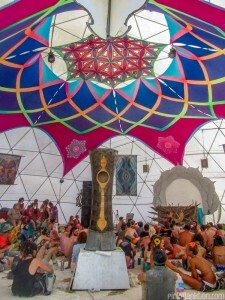 A transformational festival has been defined as a “counterculture festival that espouses a community-building ethic, and a value system that celebrates life, personal growth, social responsibility, healthy living, and creative expression.” Some well known examples include Burning Man, Boom, and Lightning in a Bottle. The term ‘transformational festival’ was coined by Jeet Kei Leung, and he speaks about it boldly in the following TEDx Talk. Jeet Kei Leung also went on to direct The Bloom Series, a documentary webseries on the emergence of transformational festival culture. He has also written a great article in which he outlines his criteria for transformational festivals. The main concept of a music festival is simple: you pay money for a ticket that allows you to see musical artists perform on a stage. You are mainly attending as a spectator. Yes, you can dance, and there may even be other smaller events going on at the festival that you can choose to participate in. But the majority of people who are there have come see artists play. The focus is on the lineup of performers, not you. This is not the case at a transformational festival. Yes, the music, stages, and dancing certainly play a large part, but there is much more emphasis on other aspects of the festival. People don’t only attend to hear music and dance. There is interactive artwork that requires participation. There are workshops that are both put on by attendees, and require attendees to run. In general, if you have a talent, any sort of talent, no matter how random, you are free to express it. Attendees are also encouraged to dress however they please, making everyone something to spectate. The fact that everyone is considered a participant truly helps to creates a sense of community. Of course, some of these aspects apply to music festivals as well. Music festivals today are realizing that festival-goers want more than just the music. They want an immersive experience. This is why more and more music festivals are including participatory elements like interactive artwork and other activities. However the primary focus continues to be the lineup – the artists that people have come to see play live. Many music festivals are put on by event corporations. SFX Entertainment is one of the largest. They are responsible for arguably the largest EDM festival today, Tomorrowland/TomorrowWorld, as well as other well known festivals like Electric Zoo and Stereosonic. LiveNation is another example. Transformational festivals operate a bit differently. Many of these festivals are grassroots, and are organized by non-profit organizations. Some have actually started off simply as gatherings amongst like-minded friends, and have expanded over the years, creating a community of volunteers. As no one is being employed to setup, tear down, or run logistics throughout the festival, many of these festivals rely on volunteers to keep them going year after year. The price of the ticket primarily goes towards renting the land, logistics, maybe a few art grants, and maybe the salary of a few individuals, but no one is making millions. Some transformational festivals allow for independent vendors to be present on site. Others operate on a total gifting economy, meaning that nothing is sold at the festival (with a few exceptions, ice and food for example). Everything one can acquire is either traded or given as a gift. This means that all attendees must come prepared with everything they need to survive throughout the festival. Burning Man is the best example I have seen of this. 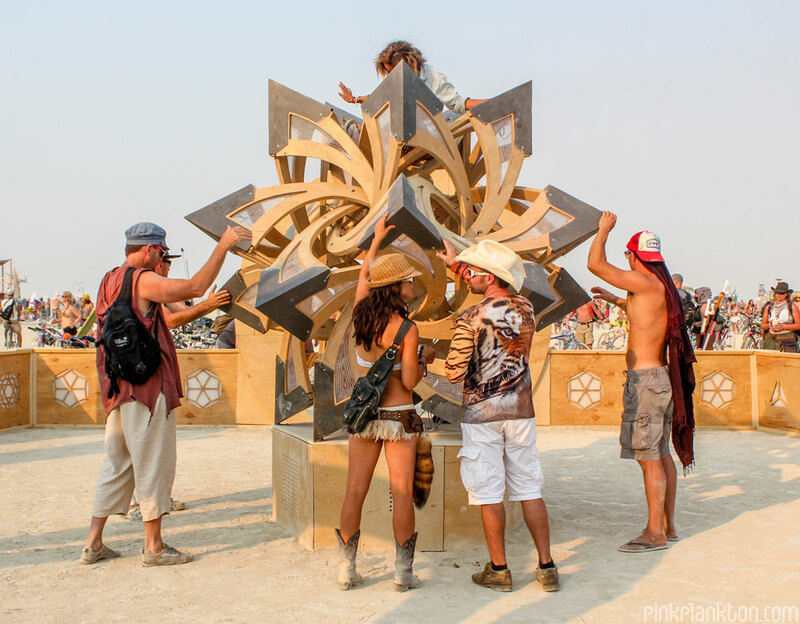 Living in a gifting economy was one of the things I found most spectacular while at Burning Man. The feeling of a complete stranger coming up to you and handing you a fresh mango, a cold beer, or a handmade necklace, then leading to a fruitful conversation, and possibly a new friendship, it what it’s all about. A non-capitalist economy is a breeding ground for genuine human interaction. The wonderful thing about workshops and events is that they are all put on by other attendees, people just like you. This directly correlates to the participant vs. spectator element. As a participant, you are free to organize something you would like to see happen at the festival, or something you are passionate about. Participating in a workshop is a great way to gain some sort of knowledge that you can take back into the real world. It is also a simple way to meet others, interact, and have fun! Workshops and events definitely add to the sense of community fostered at transformational festivals. This element mainly has to do with North American music festivals. EDM events have been given a bad name lately because of drug-related incidents occurring at music festivals. In 2013, Electric Zoo was cut a day short because two youths overdosed on MDMA and died. There are many more occurrences every summer. Authorities are responding to these incidents by throwing more police, more searches, and tighter security at music festivals. Simply put, they are responding the wrong way. They are trying to stop drug use all together, rather than acknowledging that it is going to happen no matter what. In the US, there are laws in place that discourage event companies from allowing harm reductions groups at festivals. As a result, some festivals “have banned everything from drug-testing kits to to drug information booklets to kandi bracelets in their efforts to not come across as fostering an environment for druggies.” (M. Lhooq, Vice) These are exactly the types of tactics that would help prevent negative incidents. Most transformational festivals share the same philosophy, and employ the same tactics that Kosmicare does. For example, free testing, and having a safe space equipped with individuals trained to assist those having a psychedelic crisis. Some also have people volunteering as rangers or vibe patrol. These individuals are identifiable throughout the festival, and are able to assist with any incidents they may come across, on the spot. Obviously, they are much more approachable than law enforcement would be, to someone with a drug-related issue. The best example of harm reduction I have witnessed was at Solstice Festival (organized by the the OM Reunion Project). A safe space called C.A.L.M was setup on the outskirts of the festival for those needing a break from it all, or those having a crisis. Every stage had easily accessible and free water. Vibe patrol was present and would periodically hand out snacks to everyone on the dance floors. And going beyond drug-related harm reduction, there were stations throughout the festival equipped with free gum, sunscreen, bug spray, condoms, an emergency walkie-talkie… basically everything a festival-goer would need. In general, some music festivals tend to give off a “let’s get FUCKED UP” vibe, a mentality that leads to attendees not caring about what they are ingesting, or how much they are ingesting, which then leads to negative incidents. Transformational festivals are about more than just “getting fucked up”. Leave No Trace is a set of principles that promote environmental conservation and sustainability. In a festival context, it basically means clean up after yourself. 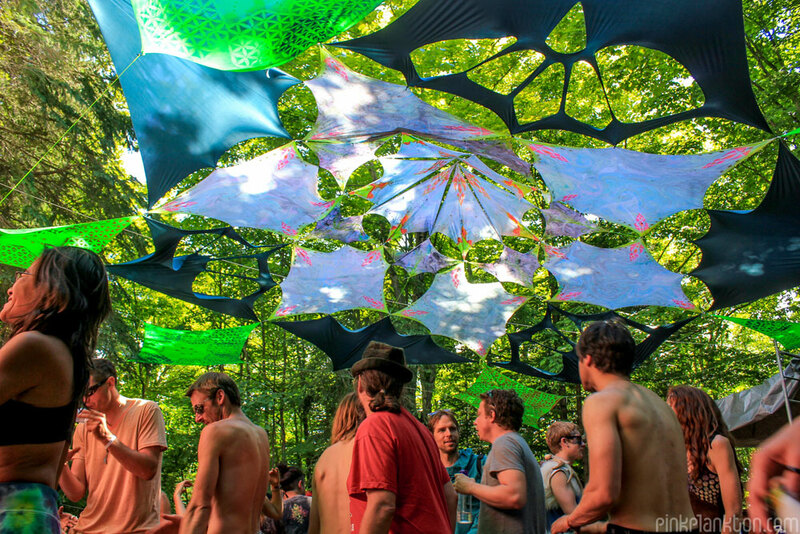 Transformational festivals generally encourage attendees to respect the land that the event is held on. Because most are organized on a grassroots level, no one is getting paid to clean up afterwards. Encouraging the leave no trace policy is the best and easiest way for clean up to occur. The image to the right (source: Huffington Post) was taken at this past years Glastonbury Festival. The grounds were left looking like a garbage dump. 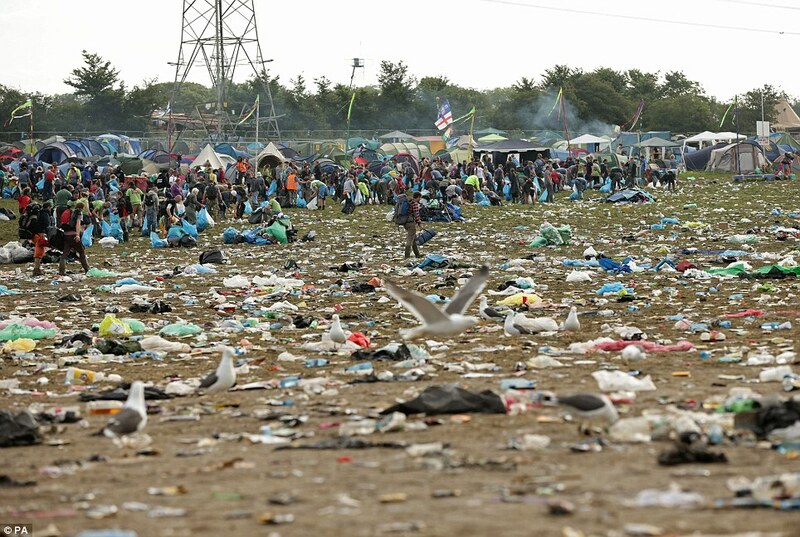 Most music festivals do not encourage leave no trace. And if they do, it is widely ignored. Festival-goers paying large amounts of money for their ticket expect someone to clean up after them. Festival organizers know this, and thus a cleanup crew is employed… which is fine, if it works for them. However, I feel that leave no trace adds to the sense of community that is more prevalent at transformational festivals. If you encourage the fact that everyone is a participant, that everyone has something to contribute, that we are all in this together, attendees are more likely to help do their part at the end. There are many other factors which differentiate the two types of festivals. These are merely the five I find most distinguishing, based on my personal experiences thus far. Am I saying a music festival cannot be transformational, or a transformational festival cannot be musical? No. There is certainly a grey area; many festivals are gradually blurring the lines between the two. Is one type of festival better than the other? That is up to you to decide. If you want to go see your favorite artist perform, dance, and party, then there is nothing wrong with attending a music festival. However, transformational festivals are called that for a reason. The combination of the above factors, and the sense of community that they help create, sets these types of festivals apart. The transformation is truly something you must experience for yourself. Regardless, the single most important factor in any festival experience is YOU – your attitude, your thoughts, and your decisions. Happy festivaling!